Amsterdam Kaashuis, or the The Old Cheese House on Haringpakkerstee. 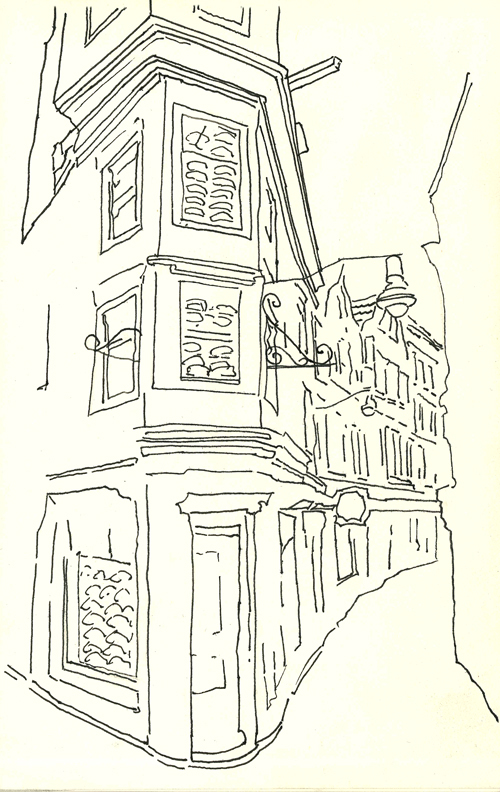 I love these narrow, over hanging, dark alley ways in Amsterdam and I love cheese so I had to stop and draw the Old Cheese House despite my cold hands. Damned fine smoked cheese can be bought here.